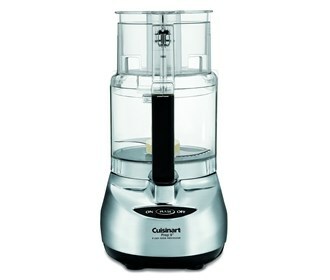 The Cuisinart DLC-2009CHBMY prep 9-Cup food processor is a powerful yet versatile machine ideal for fine chopping, shredding, mixing and slicing. It features two feed tubes, 4mm medium stainless steel slicing disc, stainless steel shredding disc, chopping/mixing blade and dough blade. All the parts are removable and dish washer safe. The 9Cup Food Processor Brushed Chrome has many exciting features for users of all types. See the 9Cup Food Processor Brushed Chrome gallery images above for more product views. The 9Cup Food Processor Brushed Chrome is sold as a Brand New Unopened Item.